In 18-0713, Juan A. Martin-de-Nicolas petitioned an appeal to the Texas Supreme Court in a case with AAA Texas County Mutual Insurance Co.
Martin-de-Nicolas sought review of a decision of the 3rd District Court of Appeals. The Texas Supreme Court denied the petition for review on Jan. 25. 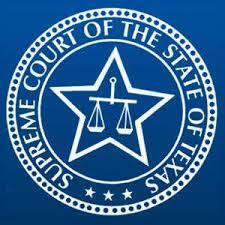 Next time we write about Texas Supreme Court, we'll email you a link to the story. You may edit your settings or unsubscribe at any time.